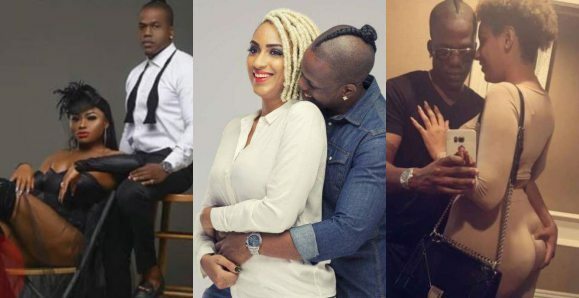 Nigerian rapper, Iceberg Slim who hasn’t been seen with his heartthrob, Juliet Ibrahim for months amidst rumours of a break-up has shared suggestive photos online. Iceberg was seen posing with a dark-skinned scantily-clad woman in what looks like a promotional photo-shoot. The pictures seem to have been wrongly perceived by social media users who believe the U.S returnee may be getting romantic with the strange woman regarded as a model. “He is done with the yellow hanty ok now is black sister is alright” an Instagram user commenter. It would be recalled that Iceberg Slim and single mother of one – Juliet Ibrahim haven’t been seen together for sometime now with both parties keeping mum about the state of their highly publicized romance. 0 Response to "Iceberg Slim Ends Relationship With Juliet Ibrahim, Sparks Dating Rumours With Another Lady"